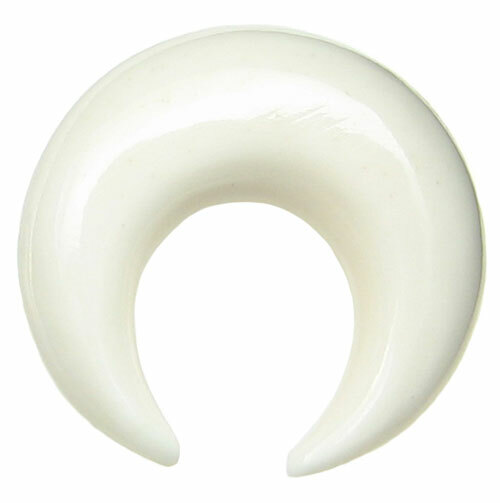 This white bone septum pincher is a great piece of jewelry for your septum piercing. It is light weight, comfortable, unique and low profile. 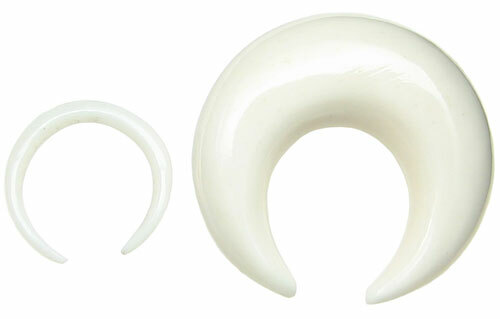 These water buffalo bone septum pinchers are hand carved in Indonesia. Rather than mass-manufactured, these small diameter septum rings were made by hand from natural materials, so some variation (such as color, texture, size, etc.) is present from piece to piece. 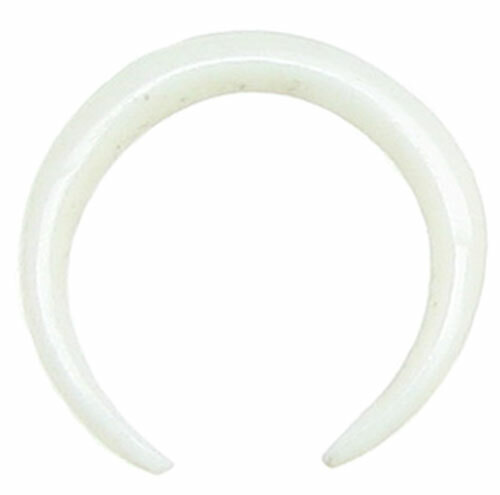 Septum pinchers and all other septum jewelry are sold as singles. So please let us know if you are looking for a matching pair. Approximate dimensions of 14 gauge: inside diameter is 0.4 inch, outside diameter is 0.47 inch. Approximate dimensions of 0 gauge: inside diameter is 0.4 inch, outside diameter is 0.79 inch. If the size you want is not available, Contact Us to be put on the wait list. 14 gauge 0 gauge (+$4.00) Select your Gauge Size and then click "Add to Cart".